Diary of a Lazy Ashtangi – Week 6. In many styles of yoga, full and new moon are seen as the perfect time to practice yoga. The planets are impeccably aligned, there is a peak of energy or it is the ideal moment to self-reflect and set new intentions. New beginnings, lunar energy, you name it. Personally, I love to teach a slow flow with moon salutations or a gentle Yin practice set around the moon energy on those days. In the Ashtanga tradition however, it is the exact opposite. We do not practice on full moon nor new moon days because our energy is respectively too strong or too weak. 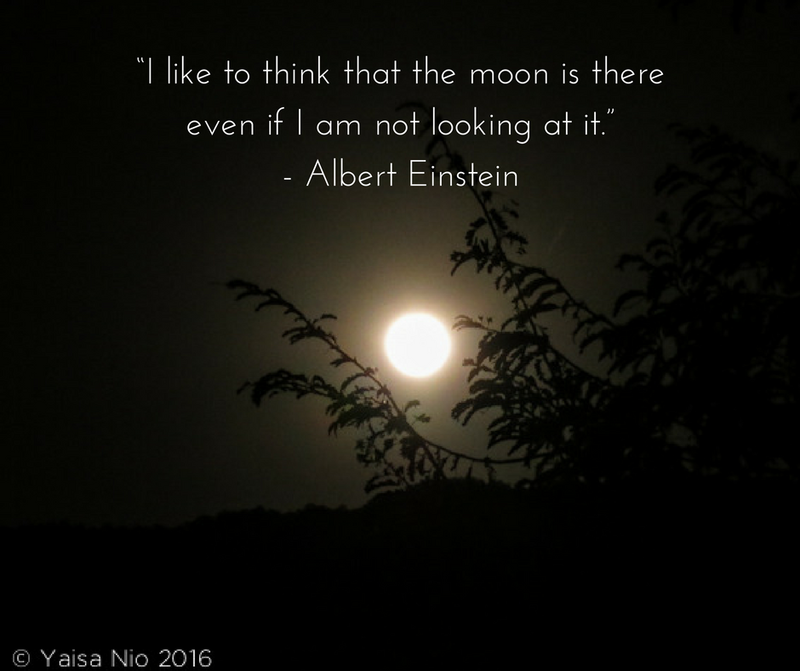 The full moon can make us lose control as we feel over-confident, risking injuries as we push ourselves into poses that we should not be doing that very moment. During new moon, our energy levels are low and we should take rest rather than deplete ourselves further with a demanding Asthanga practice. Full moon, no practice, thank the Gods. After yesterday’s party which we left at 1 am, we stayed over at a friend’s place in Adelaide. This means getting up at 7 am so I can get to the yoga studio in time for the yoga for charity class that was supposed to be on the beach. The bad weather has forced us back into the classroom, but with 24 students, it is full on anyway! Anyway, I am grateful for the break the full moon allows me to take, I don’t think a 5 am practice would have had any value at all today! The new Monday morning class that I am teaching is not yet taking off, so instead I do my own practice at the studio. I still take it easy, only until Utthita Parsvakonasana this time and with a modified Trikonasana, as that asana seems to irritate the back of my leg most. It feels good, but I miss the energy of other practitioners and teachers. I miss practicing in Bali… sigh. After the early morning Ashtanga class, I have time for a quick practice before I need to clear the studio for the next class. Still no noticeable improvement in my leg, so I work my way around it with a modified Trikonasana and of course bent knees in Adho Mukha Svanasana (Downward facing dog). Fortunately, it’s not getting any worse either. Hopefully I won’t injure myself any further until I can see the osteo who is fully booked for the next 10 days… I finish with Parsvakonasana and a quick closing sequence. Despite the limitations, I feel grateful for the practice. Like Tuesday, I get to the Old Church early and do a short practice before my class starts. That way, I am already warmed up when I teach and I minimise the risk of further injury. It’s a known cause for injuries among teacher: demonstrating poses whilst not properly warmed up. With this weird injury, I feel that simple Uttananasana can do me harm if I don’t execute it mindfully. So I breathe through several sun salutations and the first few poses of the standing sequence, do some extra shoulder strengthening and core training and dream of an injury free body during savasana. Determined to gift myself a fuller practice today, I step on my mat with firm resolve and steady focus. I work on my alignment, my breath and Mula Bandha as I flow through the Surya Namaskaras and the standing sequence. For the first time since I admitted to my injury three weeks ago, I dare the standing balancing poses. With extreme care and control of my core muscles, I avoid putting stress on my external rotators. It feels okay, but I decide not to push my luck and stop after Utthita Hasta Padangusthasana. I add some more core training and meditation. Mission accomplished. Ashtanga day off, but teaching two full-on Vinyasa classes is hardly a rest day… Despite my own internal physical struggle, I get rewarded with real positive feedback from my students. Gratitude and love all around! Diary of a Lazy Ashtangi – Week 5 with Timelapse Video. “The two hardest tests on the spiritual road are the patience to wait for the right moment and the courage not to be disappointed with what we encounter.” – Paulo Coelho. And since we are all so full of patience nowadays, I give you a 54-second timelapse of my 17 minute practice on Tuesday, read on for a peek! After a nice long sleep-in, I get onto my mat with two yoga blocks and two balls for myo-fascial release. I am going to see if long held yin poses can help heal this nagging strain in the back of my left leg. I sit on the balls and swing my hips from side to side massage my glutes. I slide over the balls from the cervix all the way down to my sitting bones giving myself a rather intense massage along the spine. Then I do several long yet mindful stretches for my hamstrings, lower back and glutes. I do love yin, but will it help? Will let you now tomorrow what the result is! No noticeable improvement in my left buttock. If anything, my left calf muscle now feels sore, as if I have had a super strong massage in the lower legs. I am disappointed but try to learn from this. I am not sure where it this new ache comes from, it’s not terribly annoying but it does make me wonder. Is it from the hours of gardening on Saturday? And the pain in my buttock, is it my posture? Am I compensating for an asymmetrical pelvis? Is this why I always have more trouble flexing my left hip and externally rotating my right hip? Does this have anything to do with my previously frozen shoulder? I know that everything is linked, in and outside the body and studying my own anatomy is really quite interesting but I can’t seem to connect all the dots just yet. I decide not to practice and rest, although I have to teach, so 100% rest is impossible. The left calf muscle is fine, but the left buttock/leg still feels tender. Nevertheless, I really really want to practice. On the other hand, I also really really want to make sure I don’t get injured any further. So I negotiate a compromise with myself: only a few Surya Namaskara A, Savasana and some Meditation. The short practice leaves me satisfied enough, happy that I practiced mindfully. I film my practice, just to have something to show you. I haven’t bothered to change into my yoga clothes for this short practice so I am in my most elegant home pyjamas. I even forget to tie up my hair. But who cares. It’s about how I feel, not about how I look, right? After teaching the 7.00 am class, I decide to do a short practice at the studio, before the next class starts. Sun Salutations A and B, the first four asanas and Savasana. It feels good to move and breathe, but I still want to be careful, so I practice patience and hold back. I am liking my short routine and my leg seems to like it too, so I keep it up. In my home pyjamas again. Nothing like a home practice. Restorative yoga day! I bliss out during the class and walk out into the sun feeling happy and bubbly. Ready for the busy weekend with gardening, a birthday party in Adelaide and teaching a free yoga class for charity. Bring it on! Ashtangis day off. Happy rest day everybody! In the evening at the party, I wear high heels for the first time in months. I wonder what that is going to do to my leg. All in know at the end of the night is that my feet are killing me. Can’t wait to slide into my birkies again! Diary of a Lazy Ashtangi – Week 4. I bet you this is the most creative form of support any yoga practitioners has ever had. How much can you love a man?! So today, even though yesterday we had a heavy dinner with wine, a late night watching several House of Cards episodes and slept an hour less due to daylight savings, my practice feels great. Is it because it’s the day after New Moon, when energy blossoms again? Is it because for the first time since I got back I don’t need to turn on the heater and the sun is shining outside? Or is it because a dozen pair of eyes are looking at me from all corners of the room? The start of today’s practice is pretty good, after a nice sleep-in on this Public Holiday. After all, I know I am being watched. But as soon as I get to Trikonasana, I stop. I hate to admit it, but I think I have got a new injury. For a couple of weeks now, I have pretended it was nothing. But the frozen shoulder is still fresh in my memory. I chose to ignore a little pinch in my shoulder after falling off my scooter and four months later I couldn’t even scratch the back of my head or shave my left armpit anymore. It took me over a year of rehabilitation to get to the level I am at now, which is almost back to my pre-injury flexibility and strength. I decide not to go down that road again when I feel my body’s alarm bells go off in Trikonasana. I feel a strain in my left leg when I flex and externally rotate my hip with a extended knee. It’s most sensitive in Trikonasana A and Utthita Hasta Padangusthasana but I also feel it in forward bends. I palpate my bum, my thigh, my sitting bone but can’t figure out which muscle is giving me grief. I stop my practice and get behind my laptop for research. After a while, I conclude it could be one of the adductors or perhaps one of the external rotators. Rest is recommended, so I shall do that and look for treatment. Any recommendations? The wind is blowing hard outside, I can hear the rain slapping against the house and it’s cold. Maybe I’ll do some gentle muscle strengtheners later for this bloody muscle injury, but for now, I’m staying in bed for an extra hour. I decide to give my leg more rest. Obviously continuing with my Ashtanga practice for the past two weeks did not improve the situation. I need to adapt my tactic so again no practice today. That in itself is not much of a game changer but the fact that I do not feel guilty about it is. I do have to teach an Ashtanga class and a Vinyasa class today though. The first one doesn’t worry me, it’s a lead class for students that are already familiar with the first part of the Primary Series so I don’t need to demonstrate. The Vinyasa class however, might be tricky. I will just need to be very careful and be creative with sides when I demonstrate. Going to a restorative yoga class today. I can’t think of anything that my body could better use than that! No practice of course and my leg seems a little less sore today… but I do end up working in the garden for the entire afternoon after teaching two Vinyasa classes in the morning. Let’s see how I feel tomorrow morning! Diary of a Lazy Ashtangi – Week 3. “These days we spend more time taking selfies than learning about the self.” – Joseph Rain. I took these selfies last week. Just to make a point, which is that yoga selfies REALLY annoy me. One cannot possibly take selfies while practicing yoga. I had to take at least 10 shots of myself before and after my practice just to look like before and after my practice. Seconds before these pictures were taken, I was adjusting the camera on the window sill and setting the timer. While these pictures (and the rejected ones) were taken, I was smiling a little more, a little less, lifting my chin a little more, a little less, pulling my top down a little more, a little less. And this is standing in a simple Samasthiti. Not in an impressive handstand, incredible twist or any other contortionist pose. So unless a photographer is doing a photo shoot while you are concentrating on your yoga practice, any picture a.k.a. selfie of you in any yoga pose, is fake. It’s not yoga. Just like my pictures above. They have nothing to do with yoga. Even if I would have been in an arm balance, headstand or split, it would still not have been about yoga. Neither do your yoga selfies, you insta-stupid. Just wanted to make a point. Now let’s get to it. Inhale – Exhale… My practice diary. Last night was all about catching up with friends who came to visit from Sydney. I made boerenkool met worst – the Dutch traditional winter dish – with kale from our garden, we drank Moscato wine brought by our neighbour and we topped it off with grappa that Stefano bought in Italy. Then we had some strawberries with coconut icecream and some more liquors (yes, plural). It was a grand evening. Needless to say that my performance on the mat today is lousy. In fact, half an hour into the practice, as I raise my right leg for Utthita Hasta Padangustasana, I suddenly feel completely drained of energy and collapse into Savasana. I console myself with the fact that as least I made it to the mat. I roll out my mat full of good intentions then go into the kitchen to drink a sip of water before starting my practice. That’s when I spot Stefano’s two liter water flask on the table and I realise he went to work without it. We are fasting today, so his water would be pretty essential. Therefore, change of plans; I will practice this afternoon. I call Stefano and offer to bring over his bottle to work, taking the opportunity to distribute some flyers around that area to promote my yoga classes. In the afternoon I first try to finish a copy writing job that takes more time that I expected. No time to practice. Well done Yaisa, well done. But at least I got the writing job done. And I made sure Stefano didn’t die of dehydration. Those good deeds won’t go by unnoticed, will they? Looking back on the two past days, I start without any expectations. Ekham inhale. Dve exhale. One hour and 45 minutes later, I am in Savasana, full Primary done and dusted. I know why. It’s because it’s the day after. The day after a fasting day that is. It’s amazing how light, agile and energised I feel after not eating for a day and two nights. I am so happy with what intermittent fasting is giving me! Stefano is at home, another day off because of the biggest storm in 50 years raging over South Australia. So while I practice in the living room, he rummages around the house and is talking on the phone in the other room. Although it’s a bit distracting, I don’t mind. I like the company. I have good energy and feel well motivated from beginning to end. Despite the upcoming storm, my day starts well! Restorative yoga class later this morning, so no Ashtanga practice today, although I feel I could squeeze one in before. I decide not to as I feel that allowing myself the agreed breaks throughout the week will make it easier to keep up a regular practice. New moon on Saturday, there is no valid reason to do an Ashtanga practice today. Another week has come to and end, where has the year gone… Last quarter of 2016, here I come!